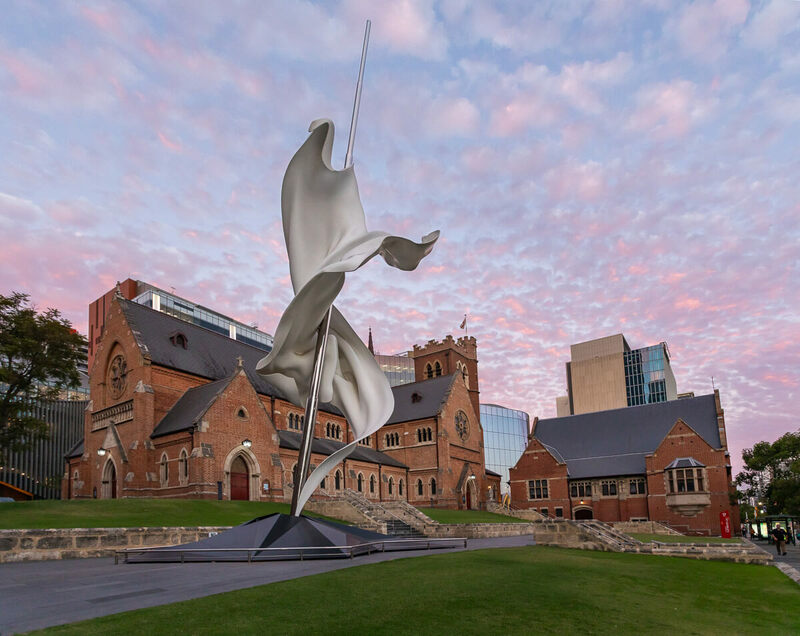 Situated in the heart of the city of Perth, St George’s is the principal cathedral of the Anglican Province of Western Australia and the metropolitical Diocese of Perth. 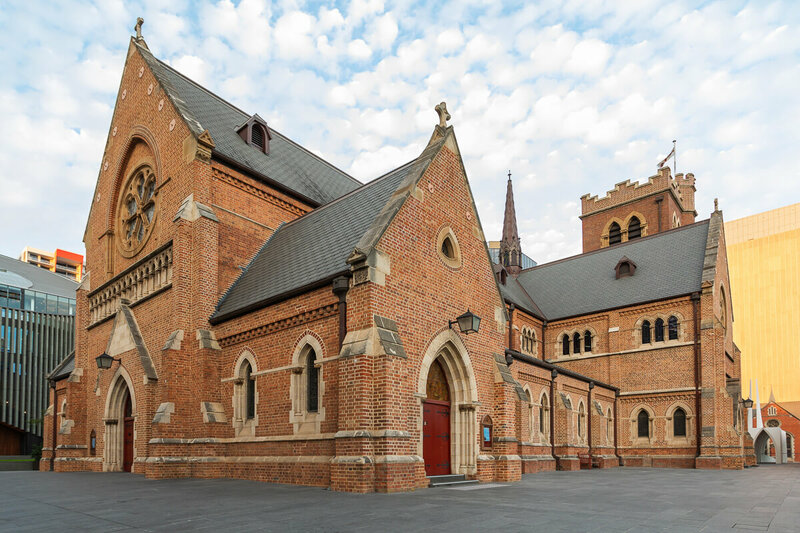 Consecrated in 1888, St George’s Cathedral stands as an architectural gem to the glory of God, to the pioneers who funded and constructed it and to the generations of faithful people who have maintained and preserved its fabric and traditions over the years. St George’s is one of only a few cathedrals constructed of handmade bricks. 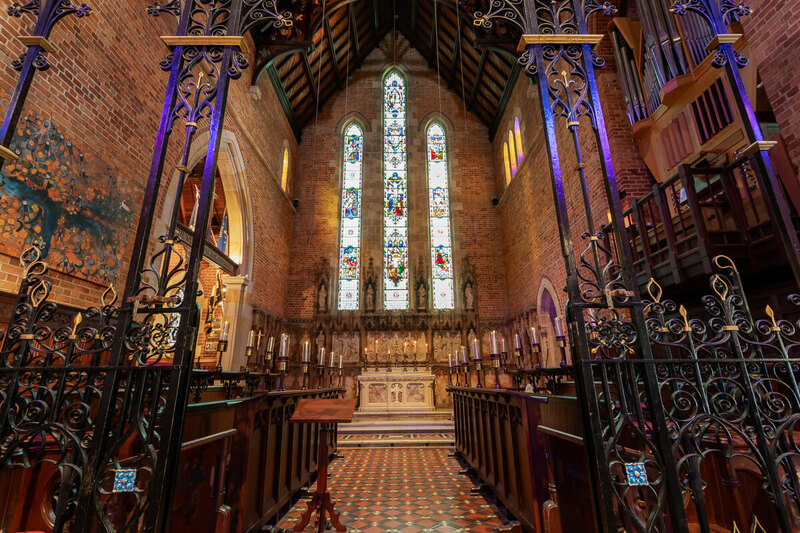 Within the Cathedral are numerous icons, beautiful stained glass windows and memorials to Western Australian pioneers, community leaders and those who served in the wars of the twentieth century. The Soldiers’ Chapel is a place of special interest. The Cathedral’s peal of bells, founded as a memorial to Queen Victoria, can be heard each Sunday before the 10.00am Choral Eucharist and 5.00pm Choral Evensong. These services also feature the widely acclaimed Cathedral Choir and Consort. 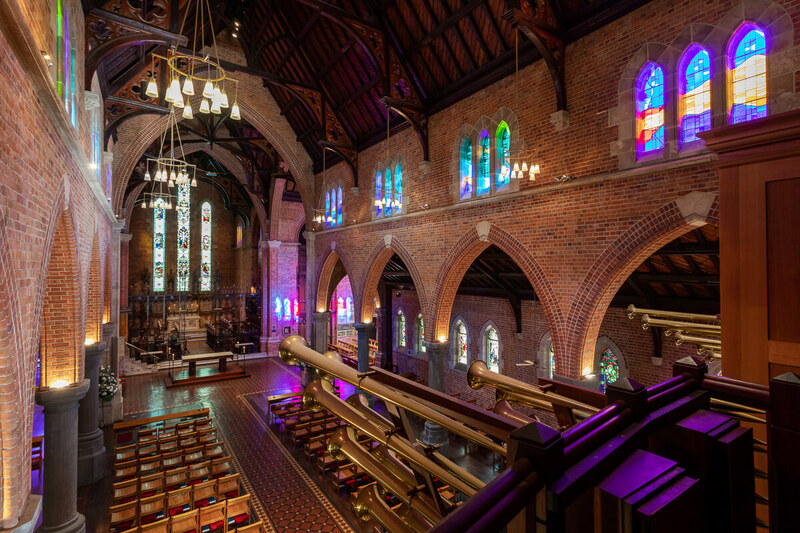 This historic Cathedral in the heart of the city offers traditional Anglican worship, challenging preaching, and a lively Christian community for people of all ages. We hope that you enjoy your visit to our website, and that you will worship with us whenever you are in Perth.